Judge Michael F. Otto has set up a campaign website in anticipation of the 2014 primary. That's a link to the site in the preceding sentence; a link has been added to the list in the Sidebar as well. Appointed by the Illinois Supreme Court to the countywide Burke vacancy in early 2012, Judge Otto has apparently decided to seek election from the 9th Judicial Subcircuit. The Illinois State Board of Elections has published what it calls an "Election Calendar at a Glance" for the upcoming 2014 primary election. The first day on which 2014 candidates (including judicial candidates) can circulate petitions is September 3. The regular filing period opens November 25 -- and closes December 2. The ISBE has not yet posted a list of Cook County judicial vacancies -- but if this election cycle is like the last one, we can expect a list to go up sometime in August. Whenever the list does go up, it will still be subject to change if and when new vacancies occur. According to the ISBE calendar, there will be a special judicial filing period from December 16 through December 23 for judicial vacancies that occur between November 11 and December 2. And that means that a judicial vacancy posted as late as November 10 will be included in the regular filing period. Prospective candidates (and bloggers) will have to pay careful attention. A Campaign Kickoff Reception in support of Justice Sheldon A. "Shelly" Harris will be held Tuesday, August 6 from 5:00 to 7:00 p.m. at Petterino's Banquet Room, 150 N. Dearborn Street. The suggested donation for the event is $100 and tickets or other information about the event may be obtained by emailing shelly@harrisforjustice.com. There can't be too many votes in Congress on which Reps. Jan Schakowsky (D-9) and Adam Kitzinger (R-16) agree, but they agreed yesterday to oppose the amendment (pictured above) offered by Rep. Justin Amish (R-MI) to the defense appropriations bill that would have, according to this Reuters account, "limited the National Security Agency's ability to collect electronic information, including phone call records." The amendment was designed to defund the surveillance program based on expansive interpretation being given to 50 U.S.C. §1861 by the Obama Administration (which is, according to your political allegiance, either a continuation of a policy begun in the Bush Administration or an inordinate expansion of that policy), allowing massive data collection, including (at least) telephone calling records of ordinary American citizens. You will see, from time to time, reference to §215 of the Patriot Act in connection with news accounts about data collection on ordinary Americans. Section 215 of the Patriot Act rewrote 50 U.S.C. §§1861-1863 (§1863 has been repealed, §1862 obliges the Attorney General to report on an annual basis to the Permanent Select Committee on Intelligence of the House of Representatives and the Select Committee on Intelligence and the Committee on the Judiciary of the Senate). Rep. James Sensenbrenner (R., Wis.), who helped write the law that is the basis for the NSA's activities, is on record as saying he didn't expect it could be used to support a massive data-gathering program (he supported Amash's amendment). For the convenience of the lawyers who visit this site, I've reproduced 50 U.S.C. §1861 on Page Two of the blog (lawyers like to look at source materials and decide things for themselves). The amendment failed on a vote of 205-217 (with 12 members not voting). The Reuters account says "94 Republicans [voted] in favor and 134 against, while 111 Democrats supported the amendment and 83 opposed it." I found two sites showing roll call votes (the House clerk's site and The Guardian). In other news, Michelle Bachmann (R-MN) and Nancy Pelosi (D-CA) found themselves on the same side of this vote as well (they both voted against the amendment). 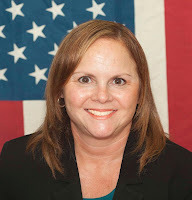 Newly appointed Circuit Court Judge Pamela McLean Meyerson has launched her 2014 campaign website. That's a link to the site in the preceding sentence; the link will also be added to the list of candidate websites as soon as that is put up (and with the way websites are coming online, that should be soon). The Supreme Court appointed Meyerson to the 11th Subcircuit vacancy created by the retirement of Judge Susan J. McDunn. At the time of her June appointment, Meyerson was a solo practitioner in Oak Park representing individuals and small businesses in civil disputes involving contracts, construction, fair housing, consumer fraud, and other conflicts. A 1983 graduate of the University of Chicago Law School, Meyerson has helped teach the Intensive Trial Practice Work at the University of Chicago's Mandel Legal Aid Clinic since 2000. Attorney Katherine A. O'Dell has announced her plans to seek election to the Cook County Circuit Court from the 10th Judicial Subcircuit. That's a link to her campaign website in the preceding sentence; her site will be added to list of judicial candidate websites when I put that up in the Sidebar. O'Dell is presently senior associate at the firm of Amari & Locallo, a firm with a national practice in real estate tax matters. According to her campaign announcement, O'Dell handles "back tax and tax sale issues, incentives, and all litigation aspects of the practice." A graduate of John Marshall Law School, O'Dell has been licensed as an attorney in Illinois since 2000. O'Dell is a lifelong resident of Chicago, and a graduate of Regina Dominican High School in Wilmette. She currently resides in the 41st Ward with her husband, Jay, and their young son, a student at Immaculate Conception School. Maritza Martinez has announced her plans to run for the Cook County Circuit Court in the 2014 Democratic Primary. That's a link to her campaign website in the preceding sentence; the link will be included in the list of candidate websites in the Sidebar on this page when that is put up. A licensed attorney since 1989, Martinez is a Commissioner at the Illinois Court of Claims, serves as an Inquiry Board Panel Chair and as an Oversight Committee Member for the Attorney Registration and Disciplinary Commission, and works as a criminal defense and civil rights attorney at the Law Offices of Victor J. Cacciatore, P.C. According to her campaign website, Martinez was installed as 2nd Vice-President of the Women's Criminal Defense Bar Association on June 28, 2013. Martinez ran for judge in the 11th Subcircuit in the 2010 and 2012 primaries. Martinez's campaign committee has scheduled an August 7 fundraiser at Gino's East, 162 E. Superior Street, from 5:00 to 7:30 p.m. Appetizers will be served; there will be a cash bar. Tickets are priced at $150 each, but additional sponsorship levels are available (Patron - $300, Supporter - $500, or Sponsor - $1,000). For more information, or to purchase tickets, use the campaign website. Cook County Assessor Joe Berrios and 30th Ward Ald. Ariel Reboyras are the honorary co-chairs of the Martinez campaign. The Illinois Judges Foundation and its Auxiliary Committee are hosting a Comedy Night fundraiser on Tuesday evening, July 23 at the Second City e.t.c. stage, 230 W. North Avenue. A reception begins at 6:00; the show starts at 7:15. Tickets are $100 each, and sponsorship opportunities are available. To purchase tickets, for questions about sponsorships or any other questions about the event, visit this page on the IJF website, send an email to ijf@chicagobar.org, or call Kevin Fagan at 312-554-2008 or Christine Athanasoulis at 708-705-4355. Hinshaw & Culbertson partner Brendan O'Brien has announced his intention to run for judge in the 2014 primary. That's a link to O'Brien's campaign website in the preceding sentence. This site will be added to the list when the candidate sidebar is put up. O'Brien has been licensed as an attorney in Illinois since 1996. He was an appropriations and research analyst on the staff of House Speaker Mike Madigan in 1991-1992, after taking his bachelor's degree at Illinois State and before starting his law school career at John Marshall Law School in Chicago. 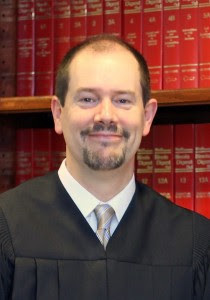 Brendan is the grandson of Judge Donald J. O'Brien, who was the longtime presiding judge of the Chancery Division. Brendan is the son of retired Judge Donald J. O'Brien, Jr. and is married to Jessica A. O'Brien, who was elected to the Cook County bench in 2012. Revised 7/16/13 to add additional information. The American Bar Association starts compiling its annual list of the nation's Top 100 "Blawgs"
The American Bar Association has begun its annual search for the nation's Top 100 legal-themed blogs (hence, "blawgs") and is soliciting nominations for said list from you, the blog- (or blawg- ) reading public. Further information -- and a nomination form -- is available via this ABA Journal Law News Now link. There is no specific criteria that bloggers can meet to be guaranteed a spot on the Blawg 100. And we think our list would suffer if there were. A blog’s whole can be greater than the sum of its parts, and a blog that never fails to post that daily update, has a beautiful design and an unwavering topical focus can very often have less of an impact than another blog that is less consistent on all fronts. The author of the blog should be recognizable as someone working in a legal field or studying law in the vast majority of his or her posts. The blog should be written with an audience of legal professionals or law students—rather than potential clients or potential law students—in mind. When Cook County judicial candidate websites reach a critical mass, I'll post a complete list in the Sidebar -- which, of course, I'll add to as new websites come online -- but, for now, let me list the sites that I've found so far. The only Appellate Court candidate website I've found so far is that of Justice Sheldon Harris. Candidates and campaign committees, take note: When your campaign website goes live, send me an email at jackleyhane@yahoo.com and I'll be sure to publish a link here. According to the calendar, we've only just begun the second half of 2013. But for those thinking about running for judicial office in Cook County, it's been 2014 for some time now. 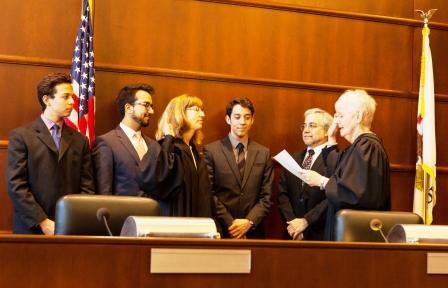 Many judicial hopefuls, at least those with sufficient political connections to learn that it was happening, have participated in "pre-slating" meetings with the judicial selection committee of the Cook County Democratic Party. (Those sessions were concluded before the summer solstice.) The Democratic Party will set its slate earlier this year than in the past; the party slating meetings will take place on August 15 and 16. Promises will be made at that time to support candidates for known vacancies, but it is very likely that not all vacancies will then be known. Checking the archives here, I note I didn't have a link to the official list of judicial vacancies published by the Illinois State Board of Elections until late August 2011. The ISBE has not yet even published its 2014 Candidates Guide; according to the Board's June 2013 newsletter, the 2014 Election and Campaign Finance Calendar and the 2014 Candidates Guide should be posted on the ISBE site by the end of this month. Candidates in the March 18, 2014 Primary can file their nominating petitions starting on November 25 -- and candidates must file before close of business on December 2. Today is the 4th of July, and most people are thinking about barbecues and fireworks and whether the lawn needs mowing. But Cook County judicial candidates are thinking about endorsements and fundraising and websites and mailings. It may be just the start of the second half of 2013, but candidates are well along into 2014. My thanks, as always, to Mr. Meyers (and to his entire technical crew, Sonny Hersh) for allowing me to repost the interview.